This entry was posted on 8th April 2019 by Marci Cornett. This month we have babies on our mind, so we’re giving away a hamper filled with lovely, healthy baby products to one of our newsletter subscribers. 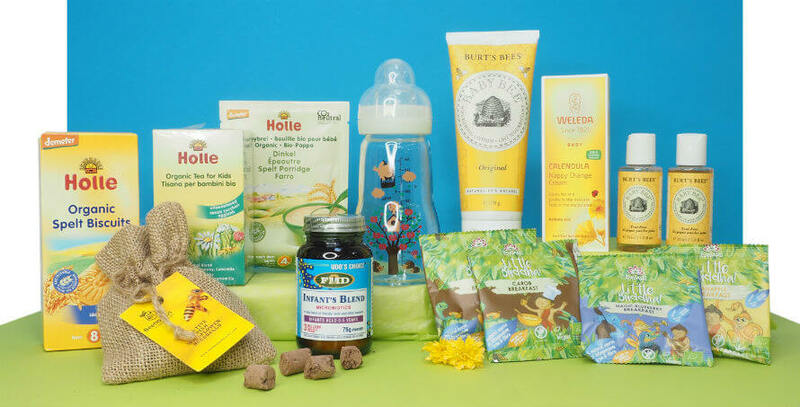 This month’s giveaway gives all of our newsletter subscribers (both old and new) a chance to win a hamper full of natural products that support the health and happiness of a baby. Whether you’re raising a baby yourself, or you want to give the hamper to a loved one who is, this prize is sure to delight! 1. Make sure you’re subscribed to our newsletter by midnight on Thursday the 11th, 2019. 2. Look for our giveaway newsletter to arrive in your inbox on the morning of Friday the 12th. 3. Click on the link in the newsletter that will take you to the giveaway form. Fill out this form, and that’s it! You’re in the running! So if you’re not already a newsletter subscriber, it’s time to change that! Become a subscriber by midnight on the 11th of April and you’ll receive the special newsletter with the giveaway link.